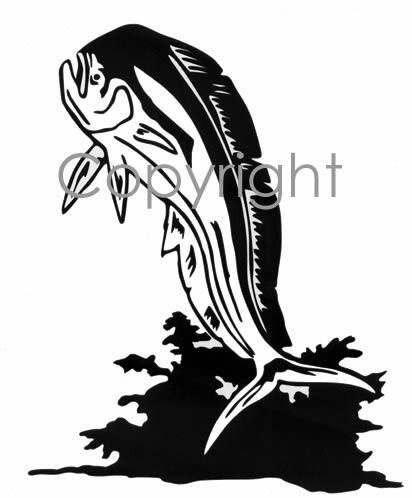 This Dolphin decal is absolutely loaded with detail and perfect for the sport fisherman on your list. Available in large or small sizes. These Saltwater Fishing vinyl decals and stickers are for display on trucks, cars, trailers, boats, gun cases & other smooth surfaces.